The Law Firm of Dermot Mac Mahon, P.A. provides legal services in real estate, estate planning and probate, and corporate/business law. With over 25 years of experience handling transactions and disputes, the firm strives for a professional and results-oriented approach. The firm specializes in and is particularly suited to serving the real estate needs of the South Florida community. First and foremost, our clients appreciate the personalized attention they receive. We believe that the best service comes from getting to know you and your needs. 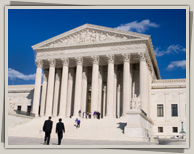 There is no substitute for a qualified attorney who is accessible and available to the client. Located in Wellington, Florida, the firm treats all clients with respect and integrity. Whether your needs are long term or short term, buying a house or starting a business, our team is dedicated to making your experience successful and rewarding. The hiring of an attorney is an important decision that should not be based solely upon advertisements. Before you decide, ask us to send you free, written information about our qualifications and experience.